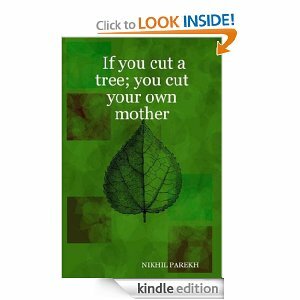 Dear Friends, Clients and Colleagues, and all those interested in thought-provoking Poetic prose, we would like to introduce our good friend and remarkable Indian Poet, Nikhil Parekh. 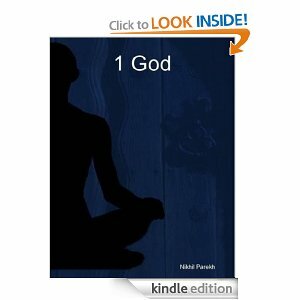 Nikhil is on a personal mission to deliver thought-provoking and spiritually enhancing ideals to those who are receptive to the messages contained within the words and thoughts expressed in his work. 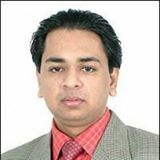 Nikhil is by far one of the most prolific Poets in the world and has achieved eight world records for his Poetry with the “Limca Book of Records India” ( 2nd in official world rankings to the Guinness Book of World Records ) which is quite an admirable feat for any Poet/Author. 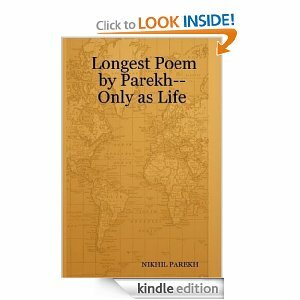 To learn more about Nikhil’s proud status please visit – http://nikhilparekh.org/awards , and browse the details of Nikhil’s eight world records in Poetry with the Limca Book of Records for his outstanding craft and gift with words. He has to date written many thousands of ‘wordy expressions’ on all topics, embracing all manner of spiritual and social issues, both politically and culturally. 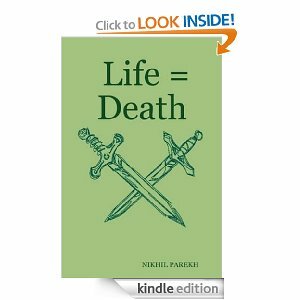 His Poetry could only be described as uniquely unorthodox and undeniably stands proudly apart from the mainstream rules of what is conventionally considered Poetry in the West. His Poetry makes for insightful and moving reading, leaving the reader to ponder in deepest introspection, how we can learn to view our complex world and its tenants (if only for a short while), in a whole new light, and from an entirely fresh perspective. 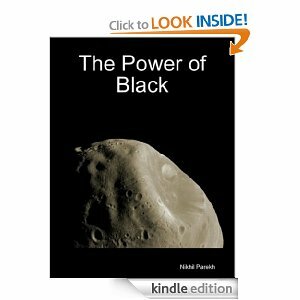 Nikhil’s Poetry provides an opportunity to all, who may take some time out to read his poetically enriched prose, to ponder and probe our hearts more deeply and with honesty, clarity and spontaneity on how we might all be able to approach our daily lives in a new and different light, more constructively, less selfishly, more genuinely, more compassionately, more caring, more brotherly and sisterly, but above all that this is generated from ‘Love’. 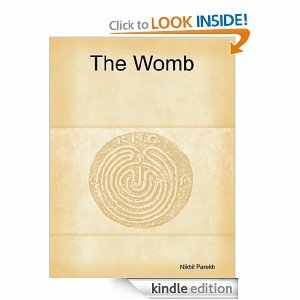 That is the main impetus and underlying ingredient of all Nikhil’s messages contained in the abundance of poetic recipes; which nurtures the potential to make for a more understanding world. 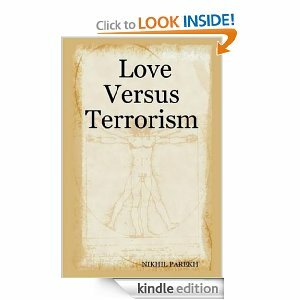 Where all humankind are able to share and unite in peace, sharing agreeably in the many diverse and cohesive concepts that are spawned from one single ingredient – that of ‘love’ for one’s neighbor, and a deepened respect manifested for one another. 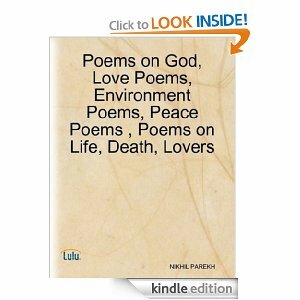 The Poet’s main aim is to reach and open the hearts and minds of all peoples on this, our planet; and on an international basis. Despite our differences in background, creed and cultural ethnicity, we are all basically connected as one human family under the heavens of One God! 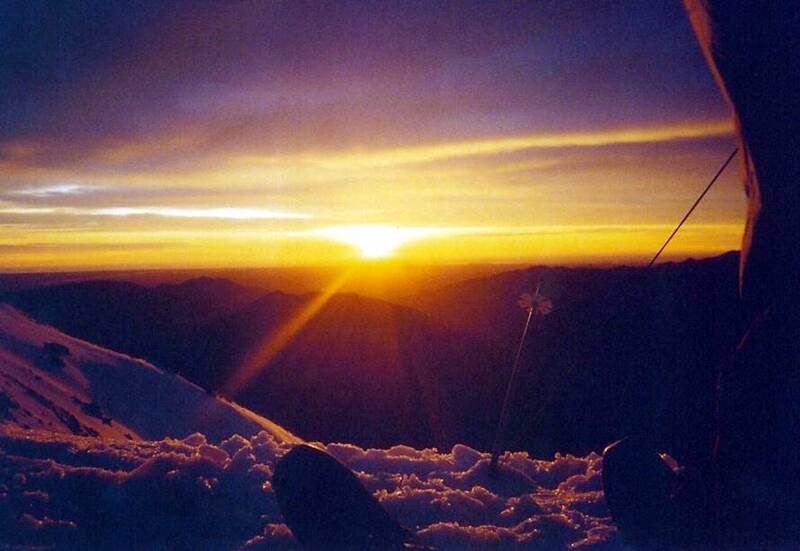 We all entertain the same emotions where fears and hardships shared are delivered into our lives, and the way we entertain the desires of the heart and mind; and how we view and experience that sense of true happiness and pain, as these elements manifest and visit us all at varying degrees in our lifetimes. Below view a number of beautifully illustrated covers of Nikhil’s amazing collection of publications to view. Nikhil will be bringing out more of his amazing Poetry over the coming months and no doubt years, combined with visual imagery, sound and music compositions, composed especially for these works by a number of extremely talented musicians/composers. The special affects of these additional elements were adapted to create a more mesmerizing and impacting ambiance in order to implore the senses of the reader more effectively. 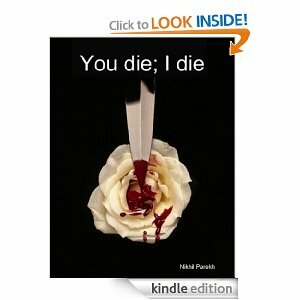 Currently Nikhil’s Poetry Books are available for purchase in the ebook format from the Amazon.com Kindle Store in – India , US , UK , Denmark , France , Spain , Italy , Japan , Canada , Brazil and Australia. 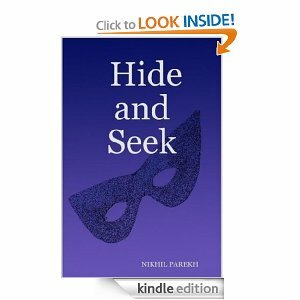 To Purchase Nihil Parekh’s Poetry Books CLICK ME NOW! A Selection of letters from World Leaders and World Organizations in support of Poetry can be read at – http://www.scribd.com/collections/2428687/Letters-from-World-Leaders-and-World-Organizations . Letters from the Queen of England in patronization of Poetry can be browsed at – http://www.scribd.com/doc/29926648/2-Letters-from-the-Queen-of-England-to-Parekh-in-patronization-of-his-poetry .